History Buffs – Thanks to my dad being a history teacher, I’ve seen my share of cemeteries, battlefields and other important sites in our nation’s military history. Springfield Armory – the first stop on my recent three-day tour of the Pioneer Valley – is one such site. 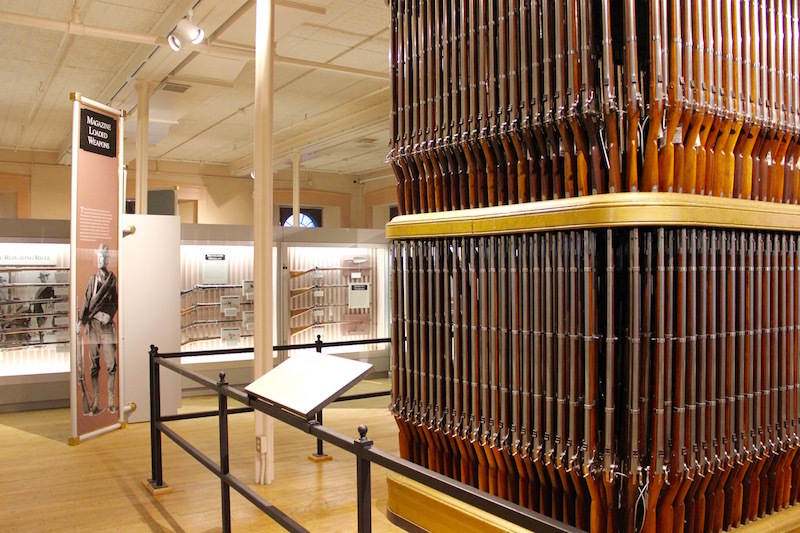 The nation’s first armory, it pioneered the development of firearms for 200 years, and in doing so, helped establish Springfield as a hub of industrial innovation. Today it’s part of the National Park Service and houses one of the largest collections of military small arms in the world, along with displays of machinery and early life in Springfield. Armory employment peaked at nearly 14,000 during World World II. At one point, more than 5,000 women were employed. 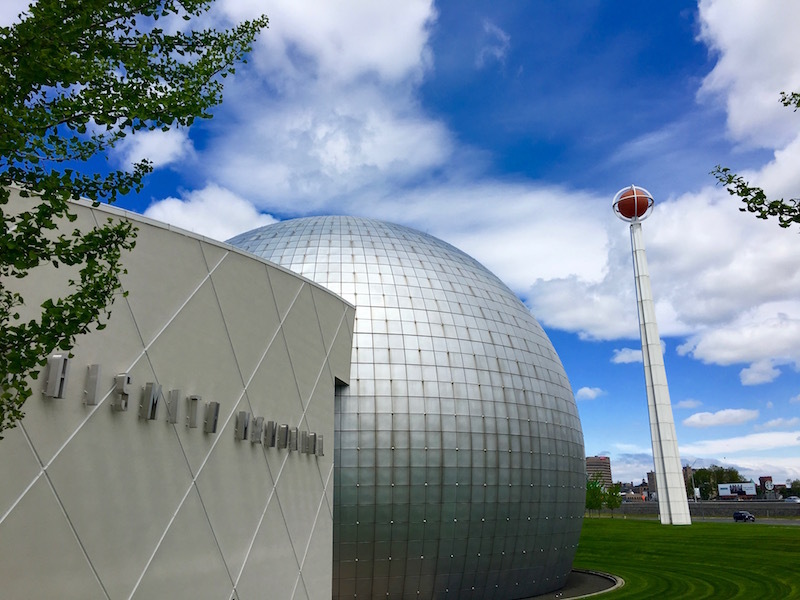 Sports Fanatics – Springfield is the birthplace of basketball, and today fans flock to the Naismith Memorial Basketball Hall of Fame to celebrate the biggest names that have coached, refereed and played the sport over the past 125 years. 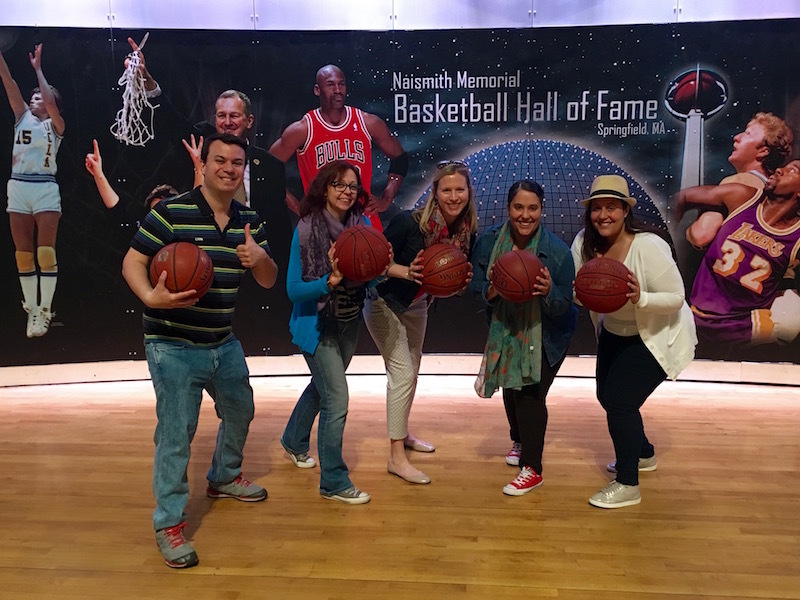 I enjoyed learning about the early days of the game, as well as checking out memorabilia like Shaq’s massive shoes, seeing how my wingspan measures up against players like Yao Ming, and shooting some hoops. The highlight was the chance to pay homage to Jim Boeheim, the head coach of the men’s basketball team at Syracuse University, my alma mater. James Naismith was a young phys ed teacher at the International YMCA Training School in Springfield when he invented basketball to keep his students busy between football and baseball seasons. Tip: There is no shortage of burger and bar eats nearby – check out Max’s Tavern, Samuel’s and b Springfield. Nature Lovers – I’ve been to Springfield several times over the years for work, but I never knew that the third-largest city in Massachusetts has been hiding one of the largest urban, municipal parks in the U.S. After lunch at Center Square Grill in East Longmeadow, Alex, Bell and I headed to Forest Park to get some fresh air and sunshine. We were pleasantly surprised to find more than 735 acres of hiking and biking trails, gardens and fields, in which we could have gotten lost for hours. 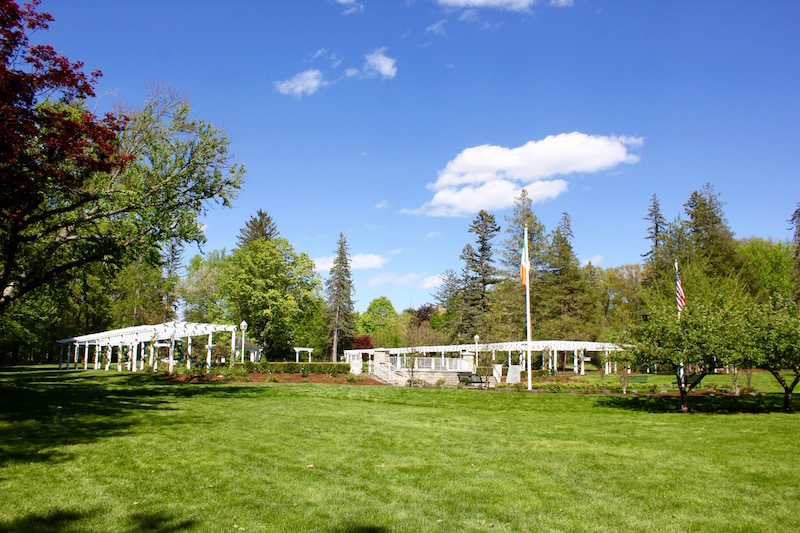 Designed by Frederick Law Olmstead, the park also houses a swimming pool and zoo. The Garden of Remembrance in Forest Park opened this spring. It commemorates the 100-year anniversary of the 1916 Easter Rising rebellion in Ireland. There are plenty of other places where you can enjoy the natural beauty of the Pioneer Valley – head to Mt. Tom State Reservation in Holyoke or Skinner Mountain State Park in Amherst for great hiking and spectacular views. Cultural Connoisseurs – Good thing I visited the Springfield Museums by myself because I spent nearly four hours exploring room after room of treasures spread throughout the four-museum complex. My first stop was the Springfield Science Museum. With a planetarium, life-sized T-rex and replicas of African animals, it’s perfect place to go with young kids. Next stop was the G.V.W. Smith Art Museum, which houses the Smiths’ eclectic personal collection – everything from 19th-century American art to samurai armor to Greek and Roman sculptures. I spent the bulk of my time in the D’Amour Museum of Fine Arts, taking in an impressive temporary exhibit of photographs from the pictoralist movement. 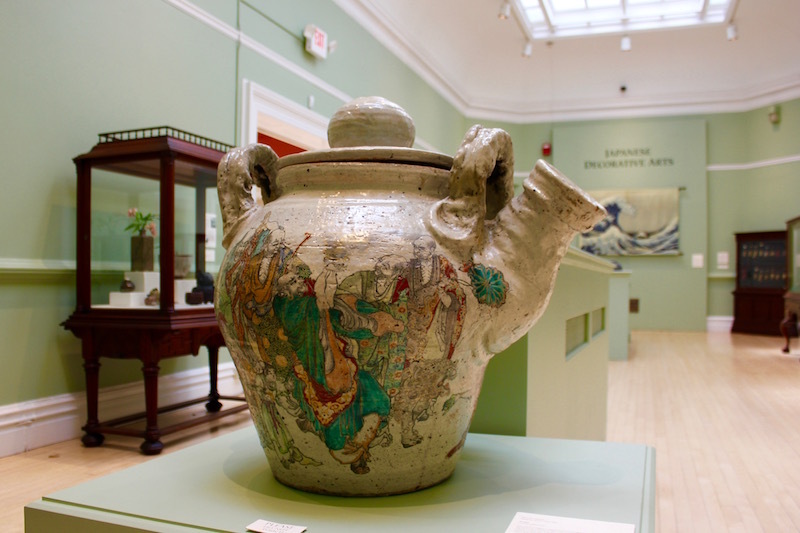 The Smith Art Museum (pictured here) has one of the largest collections of Chinese cloisonné outside of Asia, while the D’Amour Museum of Fine Arts houses the nation’s largest collection of lithographs. 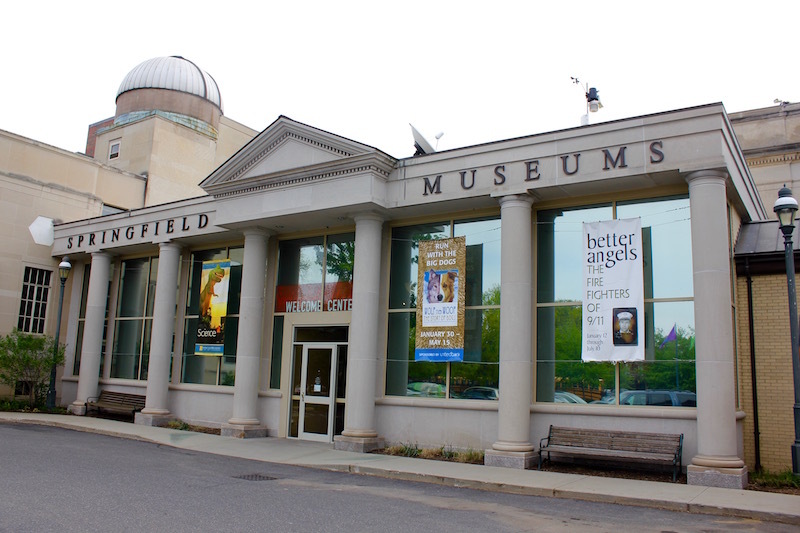 Of the four museums that comprise the Springfield Museums, the only one I didn’t get to was the Wood Museum of Springfield History, so that’s on the list for next time! Tip: One ticket will get you in to all four museums, so it’s a great deal. 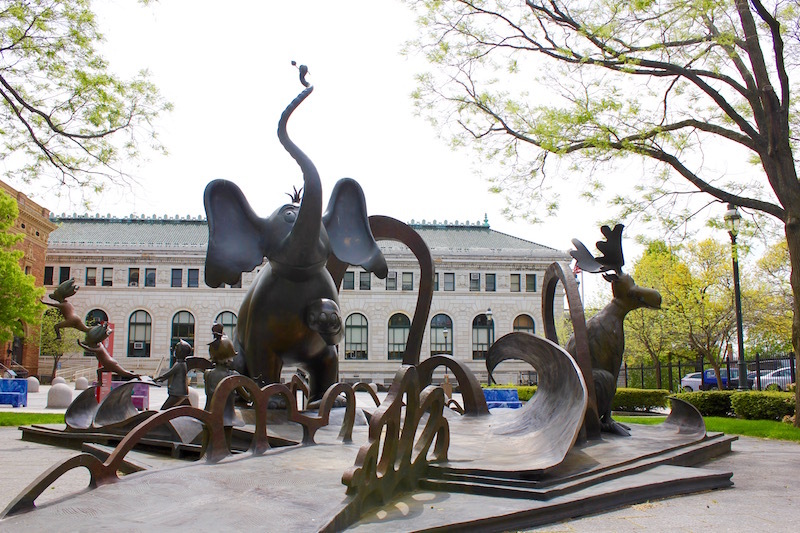 Book Worms – The Dr. Seuss National Memorial Sculpture Garden, located in the courtyard of Springfield Museums, honors Springfield native Theodor Seuss Geisel with a whimsical display of the author and his most beloved characters. (I took a selfie with my personal favorite, the Lorax). I can’t wait to come back and check out The Amazing World of Dr. Seuss Museum when it opens nearby in 2017. The bronze sculptures were created by Dr. Suess’s step-daughter, Lark Grey Dimond-Cates. 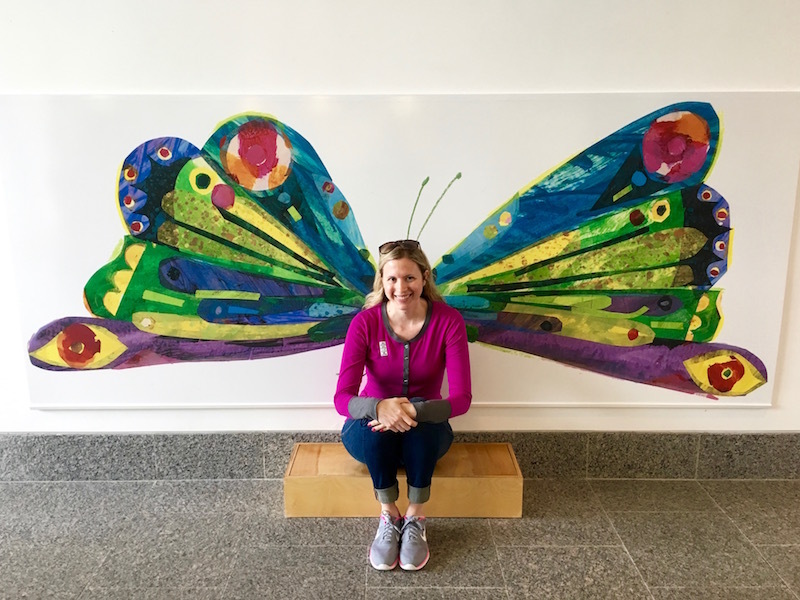 My last stop in the Pioneer Valley was The Eric Carle Museum of Picture Book Art, which celebrates the work and life of illustrator Eric Carle, whose classic picture book, The Very Hungry Caterpillar, has been a favorite of both children and their parents for nearly 50 years. The largest gallery displayed Carle’s prints – you were encouraged to try and find the personal touches, like his kids’ initials, hidden throughout his works – while the other two galleries displayed the work of other children’s book illustrators, including Louis Darling, who illustrated 12 of Beverly Cleary’s early books. Tip: Even though there is an arts and crafts room and a small library of children’s books, I think the museum is most appropriate for older children and teens with an interest in art and illustration. The Two Riveras always know where to go for good eats, and they raved about Red Rose Pizzeria in Springfield and Burgundy Brook Café in Palmer. My favorites include the Brass Buckle in Greenfield and Champney’s Restaurant & Tavern in Deerfield. We stayed at the Holiday Inn Springfield-Enfield, which actually sits on the other side of the Massachusetts border in Connecticut, and were particularly impressed by the on-site restaurant. Here I am with Alex, Bell, Yadira and Yaimani. We almost look like we know what we’re doing! I was a guest of Massachusetts Office of Travel and Tourism and the Valley Visitor Center, and thank them for the opportunity to explore more of western Massachusetts. All opinions are my own. Great job highlighting this great region packed with diverse attractions! 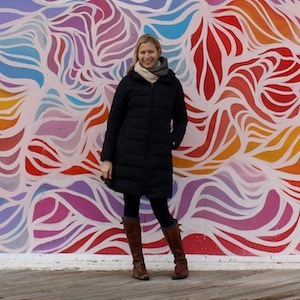 And I really love several of your photos in this post! Thanks, Alex! It was definitely a fun trip, and I enjoyed sharing the experience with you and Bell!